Jonathan Edwards (1703-1758) is American's greatest theologian and philosopher. One of the key figures in the 'Great Awakening,' he entered Yale at 12 and was head tutor at 21. Edwards pastored congregations for over 30 years and earned a reputation as a consummate rhetorician and master preacher. Shortly after becoming President of Princeton University he died of complications from a smallpox inoculation. He is buried in Princeton cemetery. 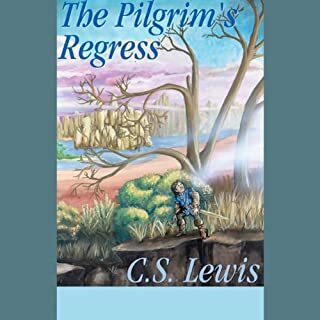 Fans of The Pilgrim's Progress Part I will be delighted to learn that Christian's wife and four sons repent of their former hardness of heart and set out after after their father in quest of The Celestial City in this second part. 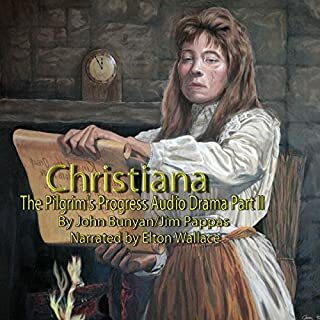 This production of Christiana has been scripted for ease of listening by Jim Pappas and is narrated by the late Elton Wallace. The voice of Christiana was masterfully interpreted by Linda Pappas with Howard Clemens voicing the part of Great-heart. "...as I slept I dreamed a dream." So begins one of the most beloved stories in all of history. 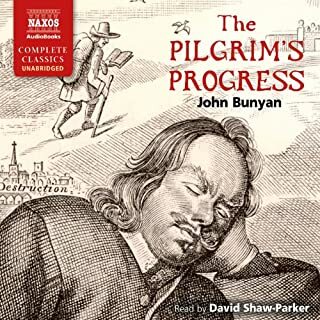 John's Bunyan's beautiful and moving allegory of Christian, the Pilgrim, on his perilous journey to the Celestial City, has touched hearts and minds for more than 300 years. What an awesome story with great insight into the Christian faith! Outstanding job by the narrator on his rendition of the book. Glad I listened to it and will definitely listen to it again. Hate that I took so long to listen to it. This book was fantastic. The narration was perfect. I had heard of this book but was wary of abridged versions because I thought they might be missing something important. 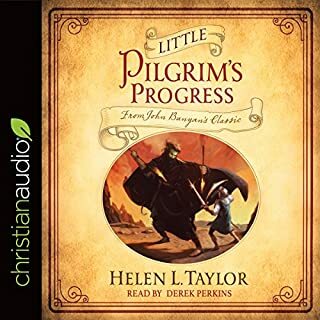 All audio versions appear to be abridged in one form or another and I needed an audiobook, no time to read. I took a chance on this version because I thought the narrators voice was particularly suited to the story. It did not disappoint. 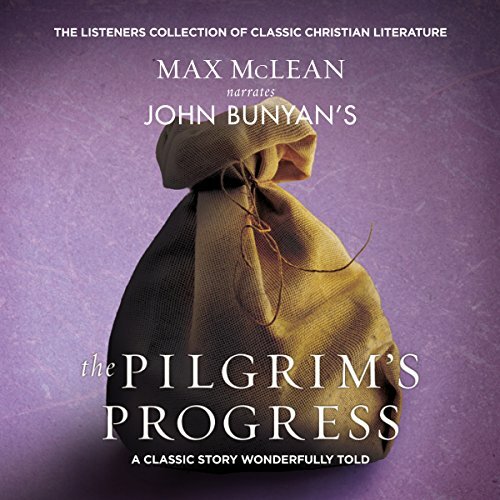 A wonderful story, quite relevant today, beautifully performed by the narrator. Just altered enough so as to be understandable to modern listeners - but not so much that it would lose it’s edge by getting dulled down with modern lingo. The essence of the story seems extremely well preserved and presented, suitable for both young and old alike. An outstanding classic read a great orator. 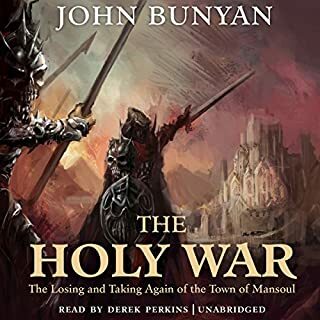 If it has been a while since you've read the book or you've only heard about it, this a great audio book. It has been altered to minimize the use antiquated language that for modern readers/listeners would simply reduce the comprehension of the story. 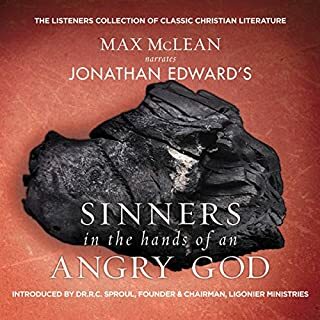 Excellent version with mildly updated language that makes listening easier for younger listeners. Highly recommend! Great Book! The storyline was easy to follow. witgout giving too much away I appreciated the very real depiction of the everyday struggle that Christians face. I loved it. Awesome book, one of the best pieces of allegorical literature I have ever read. This is so special of a book....to read it or hear it....it touches your heart. It will make you see your daily life in an entirely new light. It gives encouragement, warning, understanding and refreshment.